The recipes on this page are meant for sick hedgehogs that have come into care and are RELUCTANT EATERS. The idea is to get them started. Under no circumstances should any of these recipes be used as general feed for hedgehogs. As a rule hogs should never have sweet food of any kind as their teeth rot the same as ours do. 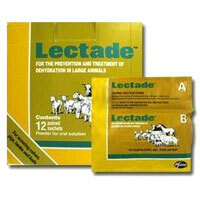 You can buy ready to mix powder from your vet under the name of Lectade but that's no help if an emergency comes in and you don't have any to hand. It's very easy to make your own. Dissolve the salt and sugar in the water. Please be very careful to make sure you have the measurements the right way round. Too much salt will make things worse. This should be given by syringe very slowly. Do not give to a cold hog, nor one that is unresponsive. Animals in this condition need to go to a vet for sub cut fluids. Do not have the hog on its back during this procedure or it may inhale the fluids and drown. Useful if you have a hedgehog that won't eat anything you provide. Also good for any with mouth issues or gut problems as it's very easy to eat and digest. If you can't get SA37 or SF50 powder then Abidec drops sold for children will do but not all hogs like the taste. 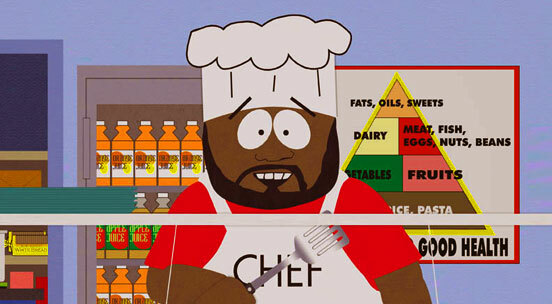 Liquidize the chicken with the water it boiled in then add the other ingredients and mix well. Serve at body temperature, no hotter. If you have liquidised the soup you may be able to syringe feed it but if you have a hog that won't eat for no obvious reason then please get a poo sample checked for worms. When the tiny ones come in the preferred feed is Esbilac or Royal Canin BabyDog Replacement Milk Formula but if you don't have any, can't get hold of any at short notice but can get to a supermarket, you can make up the following for short term use. Although Goat's milk has less lactose content (4.1%) than cow's milk (4.7%) it is still fairly high. Feed via syringe. The solution should be kept warm and tested as you would for a human baby feed by testing on the inside of your arm. Hoggies love cheese but it's not terribly good for them, especially if they have been unwell. This recipe has been tried and tested on a number of hogs of various ages and always seems to go down well with reluctant eaters. It's safe too as it contains no lactose. 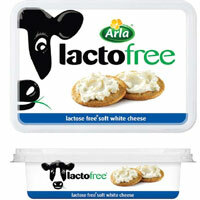 LactoFree® cheese is now readily available in most supermarkets in the UK. Soak the biscuits in warm water until they are soft. 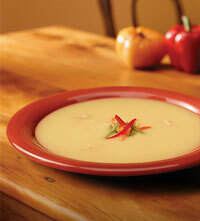 Add the other ingredients and mix well, adding more warm water to make the desired consistency. If you make this runny enough you can syringe feed it. Only make up enough for one feed. If kept too long the whole thing solidifies and you could easily hang wallpaper with it. Now this is a bit of an odd one. It may be down to the translation. Make of it what you will. Helge is a biologist and has kept African Pygmy Hogs. This recipe is supposedly well taken however I was a little disturbed when reading her notes that all of her hogs vomit if they are held on their back too long or transported in a car for more than 15 minutes. Given I have never had a hog vomit on its back, or in a car, unless it was extremely ill, I'm not sure whether it's down to her recipe. 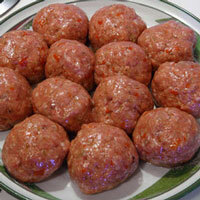 Mix and make 35 gram balls, put them in aluminum foil and keep them in the freezer. She recommends giving food once or twice a day. In the morning she gives 10 to 12 dog biscuits and 6 to 8 mealworms. In the evening one meatball of 35 grams, 15 dog biscuits and 6 to 8 mealworms. "Everything is depending on the size of the hedgehog". Keep in mind that European hedgehogs are bigger than African Pigmy.